Broadband @ Home » Broadband News » Ethernet: How Fast Can it Really Go? In the late 1980s, Ethernet became the dominant local area network (LAN) technology, beating out competitors such as the token ring and token bus — which simply weren’t able to keep up with changing market demands or shift their infrastructure to twisted pair copper wiring. Connections based on this technology remain popular today, and it has undergone significant upgrades to improve transmission protocols, control access, and increase speed. But how fast can this LAN front-runner really go? The concept got its start in the 1970s at Xerox’s Palo Alto Research Center (PARC) thanks to Robert Metcalfe, who was looking for a way to improve local area networking that didn’t rely on bus or ring systems. In a bus system, connections are made between computers in series; one runs to the next, and then next, and so on until the end of the line. Ring systems are similar, expect for the final link in the series, which connects the first computer to the last. Metcalfe’s system was instead based on ALOHAnet, a radio network in the Hawaiian islands. All stations on the network broadcast using the same frequency and sent out transmissions whenever they wanted. This raised the problem of signal collision, which ALOHAnet dealt with by having a central transmission location send a “message received” acknowledgment. If the transmitting station didn’t get this signal, it tried again later. Metcalfe improved on this system by designing Ethernet stations to check if the transmission lines were idle; if not, they would wait to send. The name of this networking technology came from the disproved theory of “luminiferous ether” which was once thought to be the neutral medium through which all electromagnetic waves moved. The Xerox team’s design offered a similar functionality, and when the system rolled out at PARC, it transmitted a whopping 3 megabytes per second (Mbps) over coaxial cable. But this was just the beginning. 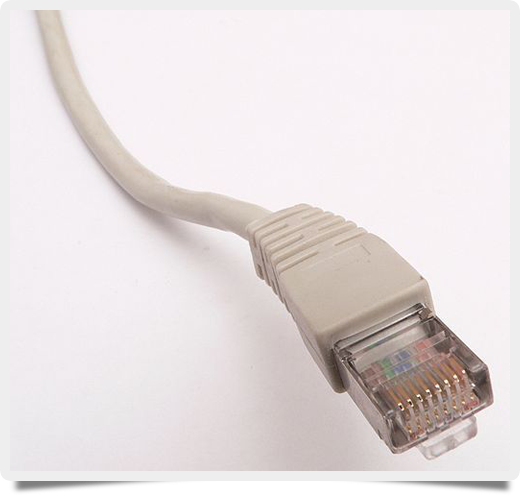 Ethernet speed first increased with the change from coaxial cable to twisted pair copper cables on the CAT5 standard. This allowed connections to transmit at 10 Mbps. 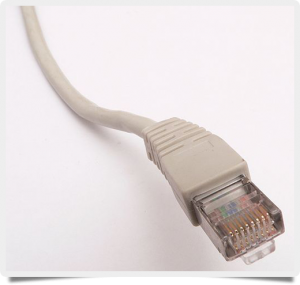 Fast Ethernet was introduced in 1995 and allowed transmissions of up to 100 Mbps. Further developments saw the technology cross several more speed barriers: for example, 1 gigabyte per second (Gbps), 10 Gbps, 40 Gbps, and finally 100 Gbps. In many cases, the factor limiting network speed is not a user’s Ethernet card but rather his broadband connection to the Internet. The Institute of Electrical and Electronics Engineers (IEEE), responsible for standardizing network technologies, has now set its sights on 400 Gbps and 1 terabit per second (Tbps) connections, but there’s no word yet on when those will be commercially available. The bottom line? Ethernet-based LAN networks are the global standard, and with good reason. Even without the use of fiber-optic cables, the technology has achieved blistering network speeds. All indications are that further increases aren’t just technically feasible but make smart economic sense for business and home users alike (remember: check your bandwidth performance regularly with a speed test from BandwidthPlace.com).